Every day that i start up my PC and my Brave Browser and go to Youtube, An ad that i block every time, reappears. So many times that i’ve saved the div in a notepad and copy it to the brave shields block every day. Didn’t happen in the past 2 days, But it just started happening again. I did nothing different. First, I’d like to make sure you’ve updated to latest release (went live today) to v0.62.50. When you say you block the ad every day, are you referring to using the CSS filter to block the ad? Also, it seems a bit unclear from you images exactly where this ad is showing – in the top image (actual result), it seems like you have a video selected and the ad appears to overlay it (which should be blocked by Shields already – we have an issue for this open). 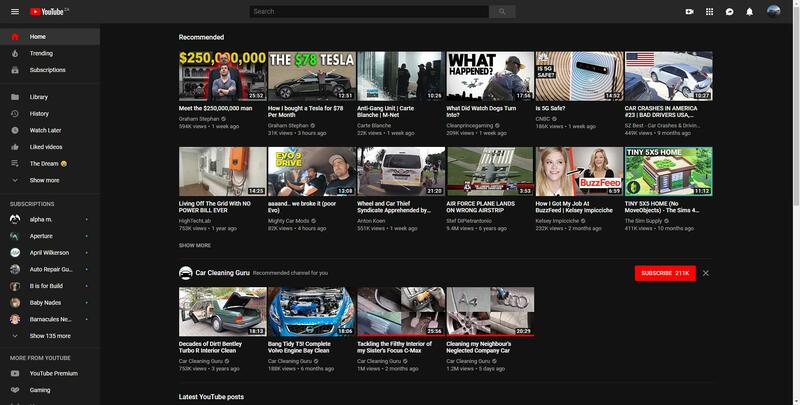 But in the second image (expected result), it seems to show the YT home/landing page with multiple videos to-be selected. So I’m a bit unclear about which ad(s) you’re referring to/where they normally display. Could you elaborate a bit? Or perhaps share a short recording of you visiting YT and producing the ad issue? They’re currently not appearing, But next time they do I will record it and post another response to here. Please and thank you! Appreciate your diligence. Thanks for the update. I can’t reproduce this but I do know that we’re having an issue with some YT ads bypassing Shields – likely related. That looks like Win10 you’re using – but correct me if I’m wrong. Can you also send a screenshot of your Shields settings on that page and the console output in developer tools? Would help to see whats happening under the hood. For the first part of the issue – where YT player shows the black error screen – I’ve assisted other users encountering this recently and it seems to be a caching error. Clearing Youtube cache/data has resolved the issue so far. Please try this and see if it resolves the issue on your end as well. Unfortunately I’m not sure I have a solution to the ad appearing at this time – I’ll try and make some noise about this though.